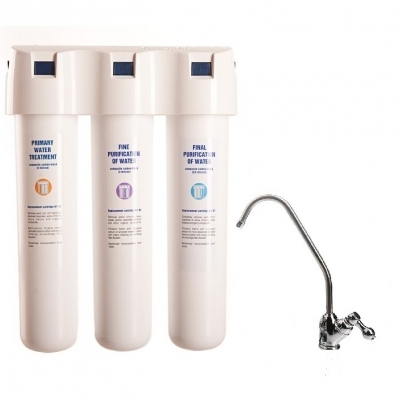 Replacement filter for primary purification of drinking water. Used with Aquaphor drinking water systems. Filter cartridge replaceble every 6 - 12 months. 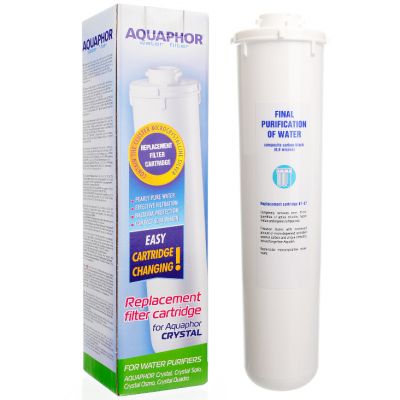 Aquaphor AQUALEN modiffied fibre distributes water flows in a super dense filtering medium in order to achive maximum purification. Reduces suspended and sediment particulates matter 0.8 microns or lager in the incoming water. Ag+ Contains silver in activated ionic form.